Blending reality and illusion with elegance and precision, the stories in this collection — one of Calvino's earliest — take place in a World War II-era and postwar Italy tinged with the visionary and fablelike qualities that would come to define this master storyteller's later style. A trio of gluttonous burglars invade a pastry shop; two children trespass upon a forbidden garden; a wealthy family invites a rustic goatherd to lunch, only to mock him. In the title story, a compact masterpiece of shifting perspectives, a panicked soldier tries to keep his wits — and his life — when he faces off against a young partisan with a loaded rifle and miraculous aim. 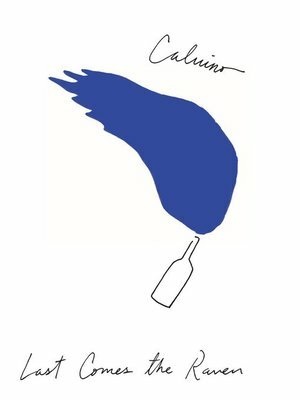 Throughout, Calvino delights in discovering hidden truths beneath the surface of everyday life. Stories from Last Comes the Raven have been published in translation, but the collection as a whole has never appeared in English. This volume, including several stories newly translated by Ann Goldstein, is an important addition to Calvino's legacy.